Tag Archive | "College Travel"
Getting the most out of your college experience means participating in internships, volunteering, attending events in the community and part-time jobs. Most of these activities require access to transportation. But while college is an amazing time for gaining invaluable life experience, it can be a not so great time for financial stability. If you have already researched cars and are sure of what you want, most car dealerships now have Internet sales departments where you can negotiate a price and financing with a salesperson online. Some dealerships will even deliver the car and paperwork to you. Internet salespeople generally have different sales incentives; they are paid for the number of cars they sell rather than on the sales price. Therefore, they are more likely to give you the lowest price on a car from the beginning than a typical car salesperson. According to Edmunds, a consumer, on average, saves between $1,000 and $2,000 by negotiating online. Online negotiations also allow you to be in contact with multiple dealerships at once. Once you receive an initial offer from the Internet department on a specific vehicle from several dealerships, go back to each one with the lowest price and ask them to make another offer. Letting each bid against the others is a good way to ensure you will get the very best price from every dealership. If you feel more comfortable buying a car in person, aim to buy at the end of the month. Most dealerships give bonuses to salespeople who meet monthly (or sometimes quarterly) goals, so by the end of the month many in the sales force are scrambling to meet these goals and you are more likely to get the best deal they can offer. Statistically, winter months offer the biggest discounts, although inventory may be low on some cars. Even better, if you can wait, buy a car when the next year’s model is just about to come out. Dealerships only want to sell the newest cars and will make deals to move the older models. Looking for a used car can be frustrating, especially if you have a specific model in mind. Popular cars can go quickly and inventory in your area may be limited. With a website like DriveTime, you aren’t limited to looking for used cars locally. DriveTime allows you to search for cars in any location (and who couldn’t use a bonus road trip) and includes an AutoCheck Report and five day return policy. Casting a wide net will make sure you get the car you want at the best price. When you think of student discounts you might think of the movies or art museums, but there are also many and new grads. Some car companies have special financing options for students who are close to graduating. For example, for students who meet eligibility criteria, Honda offers a flexible lease and financing terms on new and used vehicles and Toyota offers a $1,000 rebate on the purchase of a new car. If you want to experience modern art, you are in for a treat. On Fridays from 4 p.m. to 8:00 p.m., admission to MoMA is absolutely free. If you want to take a look at the sculpture garden, it is free every morning from 9:30 a.m. to 10:15 a.m. If you can’t make these limited hours, student prices are only $14. Are you interested in listening to jazz or experimental music? On select Fridays and Saturdays from September to May, the Brooklyn Academy of Music offers free concerts to the public. 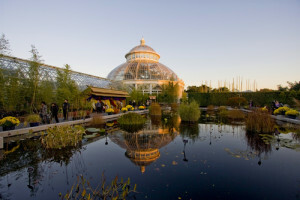 From May through November, more than a dozen of Frida Kahlo’s drawings and paintings will be on display in the New York Botanical Gardens. The solo exhibition will highlight how the outdoors and nature affected her work. You don’t have to pay full price to see her acclaimed art, either. With a student ID, art students only pay $18 for admission. Although you may think that a Broadway show is out of your price range, there are plenty of summer deals. For example, students are offered the option to watch a matinee on Wednesdays and Fridays at a discounted price. And for popular shows like “The Book of Mormon” that frequently sell out, standing room tickets are available for $27. A well-known secret in New York City is that many of the art galleries around town are either free to peruse or only have a $20 entry fee. These galleries give you a chance to see different types of art and how small galleries operate. The David Zwirner gallery is extremely popular and often has long lines outside of its exhibitions. One of the gallery’s major themes is infinity, as seen by Yayoi Kusama’s infinity rooms that were featured last year. The gallery also hosts mainstream artists. This gallery boasts a global reach with locations in Los Angeles, London, Paris and Rome. Andy Warhol, Damon Hierst and Richard Serra represent a small sample of the artists featured in this contemporary and modern art gallery. Robert Mapplethorpe and Marina AbramoviÄ‡ are two famous contemporary artists the Sean Kelly Gallery features in its space. If you gravitate toward unconventional and international art, you will love perusing this gallery. For over 30 years, SummerStage has been New York’s premiere concert series. There are over 100 highly-accessible and free performances that include bands from around the world, kid-friendly events, and theatrical and dance productions. You’re a student and working diligently toward your educational goals. Often times, it can feel as though your head is always in the books. When time off finally rolls around, you’re ready for a study detox treatment. If, like most students, you are living on a tight budget, don’t worry when vacation time rolls around and your wallet is a little light. You have options! Some people have a notion that travel is completely out of their reach. Travel is so exotic and luxurious sounding that without even exploring their options, a person can automatically dismiss the idea that a much-deserved vacation is within their budget. Is travel really so out of reach? Perhaps not. Sites such as StudentUniverse offer free student memberships which provide access to some pretty impressive discounts on flights, hotels and tour packages. As one of the biggest travel companies in the world, you can bet they are busy negotiating affordable travel options for their members. Surprisingly, one of the most overlooked vacations are all-inclusive resort packages. For as little as a few hundred dollars, you can score an all-inclusive getaway at a beautiful resort in the Dominican Republic with food, beverage and sometimes even transportation, included. Staying at an all-inclusive resort is a quick and easy way to convert your vacation fantasy into a reality. For those who need to stick a little closer to home base, there is always the “staycation”. Making a vacation out of staying local doesn’t have to be uneventful. Tapping into resources like Groupon can yield some pretty big surprises. Groupon has evolved into a fabulous resource for deep discounts on everything from food and entertainment, to spa services and gift items. Known initially for “buy one, get one” offers, Groupon has expanded its horizons and truly has great deals for every budget. Now is certainly not the time to let being frugal deem you boring. There are plenty of fun activities you can explore this summer without breaking the bank. The next few months are the most popular times for concerts, fairs and festivals. Have a favorite band you’ve been wanting to check out but didn’t have time because of finals? Take a road trip and catch a show from your favorite musician in person. Summertime is all about fairs and festivals. These inexpensive events are a great way to see what your community has to offer, from rides to food to artwork, there is plenty to see and do. If you want to explore other regions of the world but don’t have the resources to do so, visit a museum. This is a great way to get perspective on different countries without having to physically travel to them. If you prefer to stay local, ride the train to an area of the city you’ve always wanted to explore. Whatever your budget, the most important thing is to nourish and rejuvenate your body and mind. Grab a friend, share some good deals and remember that resourcefulness can be as good as cash. The first step in planning your road trip should be to save money. Think about saving well in advance to the date of your anticipated road trip, whether you’re using a bank account or a change jar. For multi-week or month-long trips, start saving six months before. Set a savings goal by writing out all of the expenses you think you may encounter, including supplies, food, hotels or campsite fees, gas and any souvenirs you may buy along the trip. Be creative when thinking of ways to save money. For example, cutting coupons instead of paying full price, ending your cable subscription or giving up your gym membership are all viable opportunities. If you have routine bills like your rent or phone bill, be sure that you have enough to pay them while you’re gone and consider setting up auto pay so you don’t miss any payments. Drive on the most iconic American highway, the famous Route 66, to experience the culture of eight diverse states, including Illinois, Missouri, Kansas, Oklahoma, Texas, New Mexico and Arizona. Learn about the history of each state and make lasting memories along the way. Consider a road trip that takes you along the Pacific Coast Highway. Discover the sandy beaches off of California’s Highway 1, explore Oregon’s national forests and witness the scenic views along the Columbia River Highway. Let Washington’s wilderness wash over you as you head north, and be sure to visit Washington’s capital, Seattle, at the end of your trip. If nature is calling, plan a trip that winds through Glacier National Park, Montana. Take a dip in St. Mary Lake, and make a stop at Virginia Falls. Or, head to the Southwest to explore Arizona’s red rock country by following State Route 179 from Phoenix to Sedona. Use a tool like Discover America’s trip planner to outline your route. And, of course, pack maps and a GPS device just in case you take a wrong turn. If your current vehicle is a gas guzzler or you’re skeptical that your aging car can’t quite make it across the country, upgrade to a new set of wheels. Use an online resource like KBB to compare vehicles, and learn which cars get the best gas mileage. Popular Mechanics recommends the Jeep Grand Cherokee Eco-Diesel, Mazda 6, Chevy Impala and the Honda Crosstour. Document your road trip by journaling in a notebook or online. And, of course, be sure to take plenty of photographs along the way. If you’re bringing a camera, make sure to pack all of your different lenses and plenty of battery packs. Mountable cameras, such as the GoPro Hero, can be attached to the outside of your car to capture all of the sights you see along your trip as well. Spring Break: Are You Ready? Spring break is just around the corner. This is your chance to get away from school without going home. Go somewhere fun! StudentUniverse.com offers several suggestions. Whether you’re packing up your buddy’s car for a road trip or are saving up some money for a plane ticket, spring break can cost you if you don’t plan ahead. So how do you keep your costs to a minimum? Here’s a checklist for you and your friends so you don’t waste that hard-earned cash. Key West, New Orleans or Las Vegas — no matter where you are headed, it might be a good idea to rent a car. Stay safe while on unfamiliar streets though. Remember each state has different traffic regulations, so if you plan to rent a car, familiarize yourself with the driving laws in the states you might be visiting. If you’re heading out on a road trip there are some essential items you’ll probably want to take with you. Sunglasses are a must, as well as a smartphone for the long drive. If you don’t have a GPS in your car, it can be a nice addition. Your smartphone likely has GPS, but unless you have an unlimited data plan it’s a good idea to get a designated GPS so you aren’t wasting your data and being charged for overages. To save money, plot out your route before setting off. This way you won’t get lost and waste gas and time. What you’ll need will always depend on your destination. But since it’s spring break there are some essentials that can’t be overlooked: a swimsuit, sunblock, a nice shaded hat. Don’t forget chargers for your phone, and your Kindle loaded up with a couple books you’ve been wanting to read. It might surprise you, but it’s a good idea to take one change of warm clothing. Sometimes cold fronts can move in, even to the most tropical and warm of places. Students don’t have a lot of money, and spring break adventures can be costly, so saving is essential. There are tons of fees at the beginning of every school quarter. Buy used textbooks each quarter and sell back the textbooks you won’t need anymore. If you can get around with public transportation or a bicycle, drop the car back at the parents’ place. Car insurance, gas and maintenance can really put a drain on your finances. Keep track of your money with one of these two helpful financial resources: Finaid.com or Mint.com. If push comes to shove, the last course of action can be to offload some of the things you might not need. In that case Craigslist can be an invaluable resource when it comes to rounding out the money you will need to have an unforgettable spring break adventure. Driving back home during the holiday months is something every out-of-state student has to deal with at one point or another. In fact, the United States Department of Transportation reports 91 percent of long-distance holiday travel is done by car. Of course, road trips aren’t exactly cheap and when you’re a struggling student it may seem nearly impossible to visit your folks during Thanksgiving or Christmas. 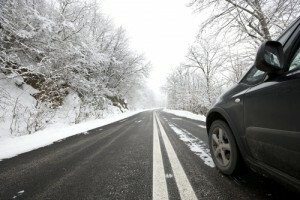 Fortunately, there are several ways to cut costs when driving long distances so you can make it home for the holidays. One of the main expenses during a road trip is, without a doubt, gasoline. Get the most bang for your buck by using a gas price app like GasBuddy. This free app helps you find the cheapest gas in your area and locate gas stations nearby. Other ways to save money on gas include using a GPS to avoid getting lost, driving on freeways versus surface streets whenever possible and carpooling with a friend that lives in your home state to divide expenses. Lastly, obey the speed limit. Not only is driving the speed limit a good idea for your own personal safety, it can also improve gas mileage by about 10 percent, reports the U.S. Department of Energy. Another great way to save money during a road trip is by regularly maintaining your vehicle’s tires. The last thing you want is to be stranded out on the road in the middle of nowhere waiting for an expensive tow truck to get you out of that sticky situation. Make sure your car has high-quality all-season tires that are suited for all kinds of travel conditions, including light snow. Along with checking your tires, you should also replace your car’s fluids and schedule a tuneup, suggests U.S. News. The heavier the load, the slower you’ll go. Think light when packing for your road trip. Just because you don’t have to worry about airline baggage fees doesn’t mean you should pack everything and the kitchen sink. Keep packing reasonable by using a carry-on instead of a suitcase for all your stuff, pack clothing items and accessories that can be combined in more ways that one and, finally, remove half of the things you think you need, recommends Travel Fashion Girl. You’ll end up with only the essentials and a light load. A lighter load means better gas mileage, which is your main goal during a holiday road trip. As you probably already know, eating out can quickly add up. Avoid overspending on food by packing your own meals, drinks and snacks in a cooler. Cooking Light created a list with some of the best road trip foods, including cereal cups, energy bars (duh! ), string cheese sticks and baby carrots. However, we’re not advocating being a cheapskate here. Eating at a roadside restaurant is all part of the experience. You can find the best food deals with Roadtrippers, a smartphone app that plans your roadtrip and shows you all of the dining options on your route (along with other cool spots). That way, you can easily find a restaurant that is within your budget. College students need to get around just like everyone else. Unfortunately, few of them have enough money to buy new cars without sacrificing necessities like food and lodging. If you want to buy a car while in college, you’ll need to know a few things to get a good deal on a reliable vehicle. Since college students usually don’t have much money, it’s important to set a firm budget before you even start exploring your options. If you know that you can afford to spend $400 a month, then only look at cars that cost $400 or less per month. If you plan to buy a car with cash (good for you! ), consider that you’ll have to pay taxes and fees on top of the vehicle’s price. Include extra expenses so you know which cars really match your budget. You may face difficult financial decisions if you exceed your budget. You really could find yourself choosing between this month’s rent and this month’s car payment. Don’t put yourself in that kind of situation. A lot of people use auto loans so they can afford to buy cars. If you don’t have much money saved, this is probably your only option. 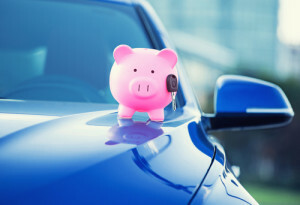 Unfortunately, borrowing money increases the overall cost of purchasing the vehicle. Let’s say used cars on KBB.com are listed at $8,000. You have $1,000 for a down payment, so you need to borrow $7,000. If you get a three-year loan with 4.7 percent interest, you’ll repay the lender over $7,500. $500 is a lot of money when you’re trying to buy a car on a tight budget. You can often lower the repayment amount by making a larger down payment, negotiating for a lower interest rate, or choosing a short-term loan that you repay in a year or two. Buying a car means having to take on new financial responsibilities. According to some research, it costs the average person $8,876 to own and drive a sedan. You’ll have to pay for fuel, oil changes, maintenance, repairs, insurance, and taxes. Some cars cost a lot more to own than others. As a broke college student, you should find an inexpensive car that doesn’t cost a lot to own. 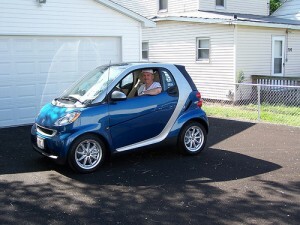 Look for fuel efficient cars so you can save money on gas. Also, contact auto insurance companies to compare rates for different cars. You might find that you can save hundreds or thousands of dollars just by choosing one car over another. Nearly all drivers prefer cars that look nice. Those used vehicles, however, usually cost more than those that show their age. Since you don’t have a lot of money to spend, you should focus on what’s really important. You need a car that performs well. Aesthetics come in at a distant second place. Since there are people who will try to charge high prices for fancy cars with mechanical problems, you need to get as much information about the vehicle as possible. Have a certified mechanic inspect the used car for signs of damage. If the mechanic finds problems, then you may want to choose another car that’s more reliable. If it gets a clean bill of health, then keep that car on your list. Buyers should request maintenance records so they have evidence that the car’s owner cared for it. If the seller has receipts showing that the car got regular oil changes, then you know the previous owner took care of it. Buyers should also request the car’s license plate and vehicle identification numbers. You can use these numbers to get a vehicle history report that includes information from insurance companies and DMV offices. If the car has been in several accidents or disasters, the report should list that information. Having a car in college makes it a lot easier to commute, visit family, and get away from campus when deadlines start stressing everyone out. 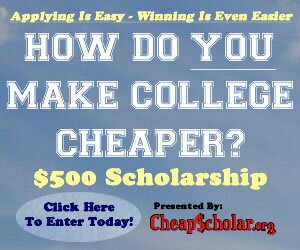 What advice would you give college students who need to follow a strict budget when buying cars?